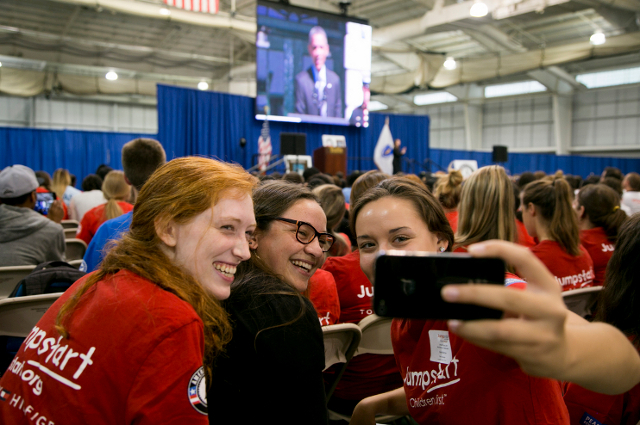 At the AmeriCorps 20th anniversary celebration held at Tufts, volunteers are told they will transform America—and themselves. CIRCLE Director Peter Levine and Tisch College board member Simon Rosenberg spoke at the “Renewing Our Democracy” forum. The Democratic Party leader drew a capacity crowd and discussed pressing issues in American politics.